This a small sized RFID tag. IT works in the 125 KHz range. It works perfectly with our RFID Reader. Some of the salient features of RFID Tag are mentioned below which speak about the authenticity of its characteristics. We provide rafid tags to our clients. Owing to the efforts of our dedicated team of professionals, we have been constantly engaged in offering 125kHz RFID Tag Keyfob. This is a basic RFID Tag Keyfob used for presence sensing , Access control etc. Works in the 125kHz RF range. These tags come with a unique 32-bit ID and are not re-programmable. - Substrates :- Ceramic Composition. - Temperature :- -20°C + 85°C. The labels come in two form factors – Reusable and Non-Reusable. 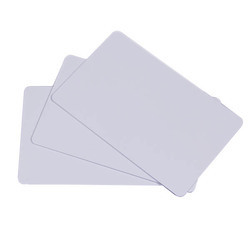 The reusable tags are used by sandwiching them between the barcode label, whereas the non-reusable tags can be used by printing the barcode directly on the RFID tag. RFID Tags may either be read-only, having a factory-assigned serial number that is used as a key into a database, or may be read/write, where object-specific data can be written into the tag by the system user. Field programmable tags may be write-once, read-multiple; "blank" tags may be written with an electronic product code by the user. We offer RF Square Tag to our clients. 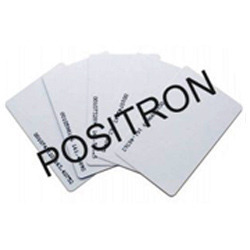 Our renowned company is considered amongst the noteworthy manufacturer, exporter and supplier of best quality RF Hard Tags.